Don't you love this card? It was designed by my friend Karen. The card uses a technique called Bokeh. I'll be teaching this technique at my Super Fun stamp night class on Feb 13. It's going to be an all masculine card class so I'll have to change the colors. 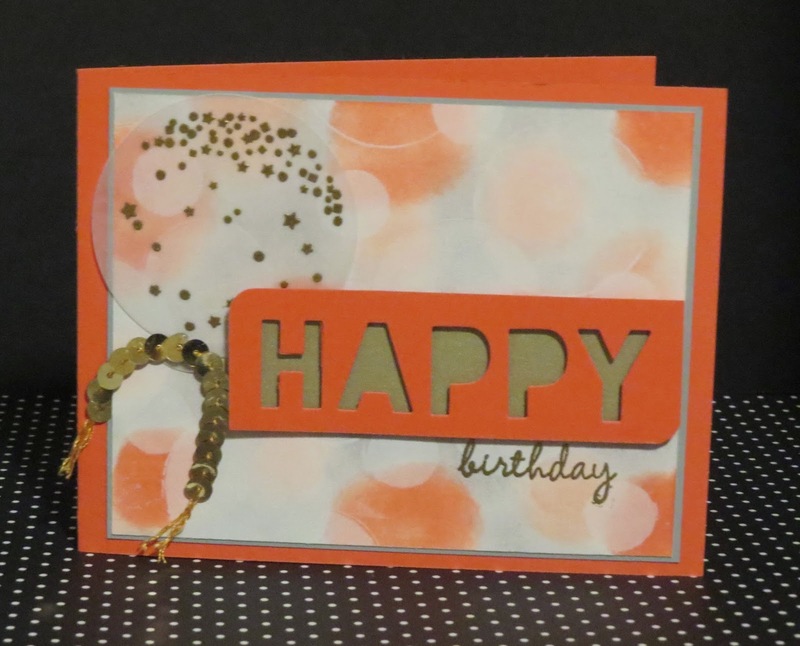 The stamp set for this card is called Celebrate Today. You can buy the stamp set and matching framelits in a bundle for $44.95 which is a 15% savings.